Copyright ÂŠ 2017 by 21st Century Teachers, Inc. All rights reserved. Consistent with our advocacy, we allow the copying and reproduction of this book in whole or in part so long as it is not used for profit. Should you wish to include portions of this book to another publication OR use them for profit, you may only do so with the express written permission of 21st Century Teachers, Inc.
Electronic Release 2017, March Republic of the Philippines 21st Century Teachers, Inc.
Foreword At a very early age, a child can already utter basic sounds and can appreciate pictures. Next they begin to understand that letters make sounds and form words. This is the progression of phonological awareness. Thus, as early as the year 2000, many reputable collegial bodies have unanimously agreed that phonics is the best approach to early reading. 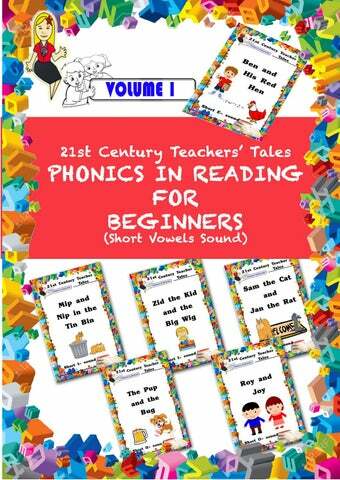 This first volume of 21st Century Teachersâ&#x20AC;&#x2122; Tales Phonics in Reading for Beginners, a compilation of short vowels sound aims to provide early knowledge givers a tool to use for their loved ones. 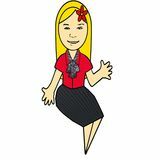 By knowledge giver, we mean teachers, mothers, nannies, relatives OR even volunteers who spend time with kids. What better way to care for and bond with kids than by teaching them how to read. 21st Century Teachers' Tales are short stories with guides that are easy to understand that can turn anyone, with enough love and care into a knowledge giver.